When selecting a holiday destination, have you ever struggled to decide exactly what it is you want from your vacation? The relaxation of a beautiful beach or the cultural and culinary excitement of a city? Old World charm or New World energy? Immersion in the modern or in the depths of history? Now you don’t have to choose, because there is one place that has all of these: Mexico. Beaches and warm ocean breezes? We’ve got ‘em. Thanks to the country’s prime location, the waters along the coast are warm all year round and rich in biodiversity. Mexico’s 1,000 km (620 mi) of shoreline provide hundreds of gorgeous beaches where you can get away from it all year round and enjoy yourself, whether it’s luxury, exclusivity, fun, or a close encounter with nature you’re after. You want pyramids? The country’s long history has left it full of exciting places to visit, where you can learn about the pre-Columbian, colonial, and post-colonial eras. Hungry? Like Mexico itself, the country’s cuisine is a multifaceted blend of the old and the new, with plenty of spice and savor, excitement and artistry. So read on! You’re sure to find something to whet your appetite. 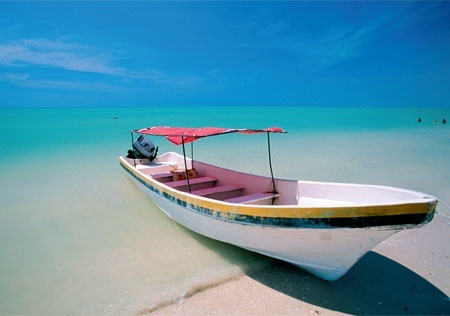 Mexico offers a wide array of destinations with sun, sand, and sea. The climate, vegetation, and scenery at these coastal destinations vary in each region, allowing visitors to have unique experiences and distinct itineraries. Along the extensive coasts you’ll find modern tourist resorts, hotels, spas, and haciendas that provide top-notch facilities and service with the warmth and hospitality characteristic of Mexico. Among the many options available to enjoy Mexico’s sunny beaches, five destinations stand out that are sure to captivate you. Los Cabos, a tourist resort where the desert meets the Sea of Cortez, has modern facilities, plenty of excitement, and an atmosphere that preserves the magic of traditional Mexico. Acapulco has one of the most beautiful bays in the world. 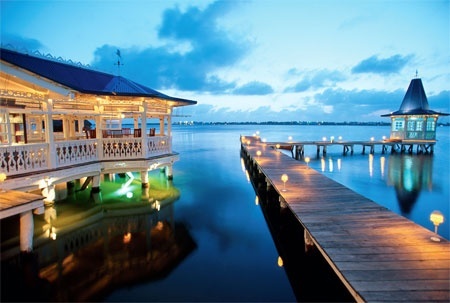 Cancun, an island with charming beaches, is lined with some of the world’s finest multinational hotel chains. Finally, on the Mayan Riviera you’ll find lagoons, archaeological zones, and world-class tourist resorts. These accessible destinations, with their non-stop nightlife, wonderful cuisine, and excellent shopping, are authentic paradises offering a multitude of simple and sublime pleasures. For those who enjoy adventures at sea, you’ll find more than 20 marinas offering all kinds of services, including docking and the best hotels. If you’re looking for some rest and relaxation, you can visit one of more than 500 spas, some of which are located in beautiful haciendas with private swimming pools. These facilities offer perfect harmony and specialized staff who will apply relaxation and beauty treatments that will prove benefi cial to your health. Experienced golfers seeking topnotch courses will find impeccable greens with ocean views, some of which are surrounded by immense sand dunes, while others are located in exotic jungle settings. Many of the courses have been created by the most prestigious designers in the world. 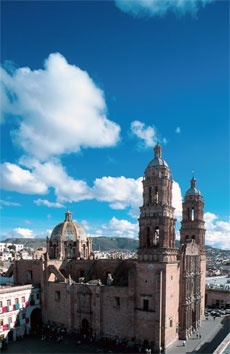 Mexican history has left a legacy of majestic archaeological zones dating back as far as 3,000 years. To the south, you’ll find such sites as Chichen Itza and Palenque, widely considered the most important archaeological zones of Mayan culture. Heading west to the Pacifi c coast region, there are Monte Alban and Mitla, where the Zapotec and Mixtec cultures once flourished. Moving toward the Gulf Coast region, you’ll come across ruins from the Olmec, Totonac, and Huastec cultures. And up north, you can witness remains of the Paquime civilization. In short, Mexico offers more vestiges of pre-Hispanic Mesoamerican civilizations than other Latin American country, as evidenced by its many ancient ceremonial grounds, sculptures, manuscripts, cave paintings, and thousands of artifacts. The important Aztec city of Teotihuacan and the ruins of the Templo Mayor (the Great Temple), located in the nation’s capital, Mexico City, are sites you must see. Visit these places and discover the magic of pre-Hispanic Mexico. Mexican cuisine has drawn from its pre-Hispanic origin various culinary techniques which are still in use: the nixtamalización to enhance delicious tortillas (cooking the corn grain in water with a fixed proportion of lime), fermenting maguey to obtain incomparable pulque (an alcoholic beverage made with or without fruit), and the use of underground ovens to roast meat (lamb or mutton wrapped in fleshy maguey leaves and buried underground with hot stones), a technique known nowadays as barbeque. When the conquerors came and founded the Spanish colony in Mexico, native ingredients and techniques fused with those brought from the Old World, Asia, and Africa. This gave birth to various exquisite dishes — like mole, chiles en nogada, pozole, and wide range of sauces, beverages, and desserts — that today represent traditional Mexican cuisine. Many common ingredients widely used today throughout the world were initially “domesticated” in Mexico during the pre-Hispanic era. These gifts that Mexico has given to the rest of the world include corn, diff erent kinds of chilies, vanilla, and — last but not least — the tomato. It is worth mentioning that in every state of the country the variety of dishes is enriched by the contributions of spices and ingredients each state identifies itself with. This gives each dish a touch of special taste. So come to Mexico, a land of colors and flavors that you’ll want to return to again and again! Most major international airlines fly to Mexico through principal European or American airports. Time difference from Moscow is minus 9 hours (MX: GMT – 6). Average temperatures range between 25° C to 30° C (77° F to 86° F). The hottest time of the year runs from May to September (especially on the coasts), and it gets cooler from October to April. To find out visa requirements for different nations, consult the Mexican Embassy’s website at www.sre.gob.mx. Выставка ABCDF “Портреты города Мехико” Фотографии, инсталляции, цифровые изображения, звуки, предметы обихода, тексты и видео. Коллективная попытка осмыслить наполнение и мистические атрибуты города: что значит жить в мегаполисе такого размера? Московский музей современного искусства, Гоголевский бульвар, 10. Открытие 11 ноября. A sampling of projects representing different generations and trends. Подборка проектов ведущих архитекторов разных поколений и направлений. A selection of photos from the Mexican National Council for Culture and the Arts. November 12 – December 7. Выставка “Мировые памятники Мексики, объявленные ЮНЕСКО достоянием человечества”. Подборка фотографий Мексиканского национального совета по культуре и искусству. Contemporary Mexican Film Festival. Six new Mexican films, including the directоrial debuts of world-famous Mexican actors Gael Garcia Bernal and Diego Luna. Khudozhestvenny Cinema. 14 Arbatskaya Square. 14. 13 – 16 ноября. The wonderful reality of Mexico in the Russian perception. 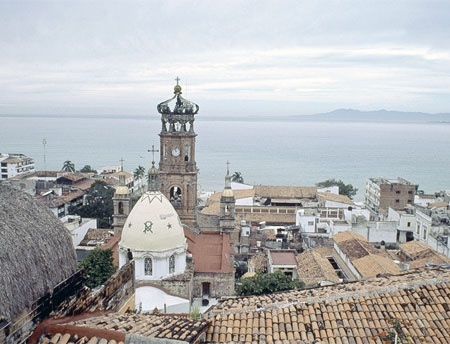 An anthology of texts about Mexico by Russian travelers from the 16th to the present. Compiler - Ludmila Burmistrova. Editor in chief - Yuri Fridshteyn. Published by the Rudomino Library of Foreign Literature. A New Brief History of Mexico. Colegio de México, published by the Russian Academy of Sciences, Institute of Latin America. Anatoly Borovkov, Editor Institute of Latin America, 21 Bolshaya Ordynka St.
“Новая краткая история Мексики”. Колледж Мексики. Редактор – Анатолий Боровков. Издана Институтом Латинской Америки Российской Академии Наук. Институт Латинской Америки РАН. Ул. Большая Ордынка, 21. Mexican Gastronomy. Five-Star Diamond Award Chef Martha Ortiz will be preparing the most sophisticated and delicious Mexican dishes at Nedalny Vostok restaurant, 15/2 Tverskoi Bulvar. Мексиканская гастрономия. Обладательница премии Five Star Diamond шеф-повар Марта Ортис будет готовить самые изысканные и вкусные блюда мексиканской кухни в ресторане “Недальний Восток”. Тверской бульвар, 15/2.